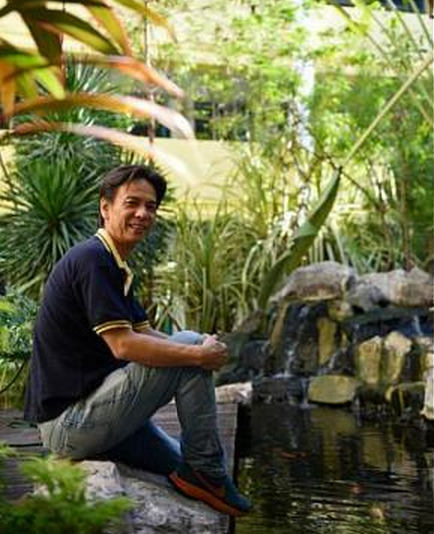 MR LIM Teck Seng, 44, is a man with a mission. The operations support officer at Beatty Secondary School is applying for a spot in a course on office skills at the Institute of Technical Education (ITE). This would mean night classes after a long day of work for nine months. But the Division IV civil servant, whose highest qualification is from secondary school, thinks the effort will be worth it. "If I can get this certification, plus a recommendation from my boss, I can eventually be promoted to Grade 1," he said. This is two grades higher than his current grade. "So I'll do my best. But I must practise my typing as I type very slowly," said Mr Lim, who has worked at the school since 2005. Yesterday, Deputy Prime Minister and Minister-in-charge of the Civil Service Teo Chee Hean said more training opportunities would be given to lower-wage civil servants to encourage them to upgrade their skills and progress in their careers. Mr Lim, who has attended workshops on topics such as workplace skills, said his boss has been very supportive of him. But improving his lot is up to him. "You must always be keen to learn and to help yourself. If not, whatever courses you go for will be in vain," he said. Lower-wage officers will also get pay rises of $60 to $80 from next month, similar to the increments they have been receiving in the last three years. Mr Lim, who makes about $1,500 a month, said he would spend the extra money on textbooks for his four children. "Every little bit more helps. The rest I'll save for rainy days."